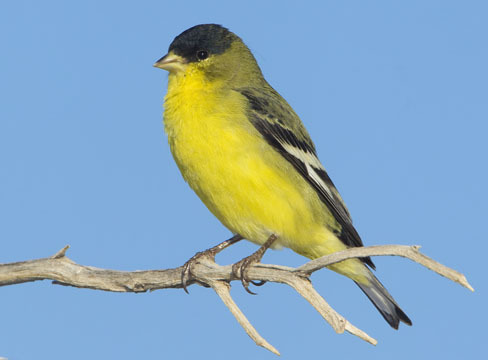 These male lesser goldfinches were coming to a feeder at Big Morongo Reserve in the California Desert, near Joshua Tree National Park. 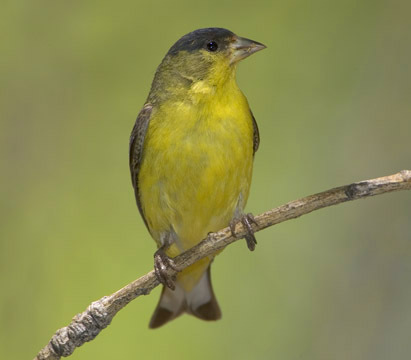 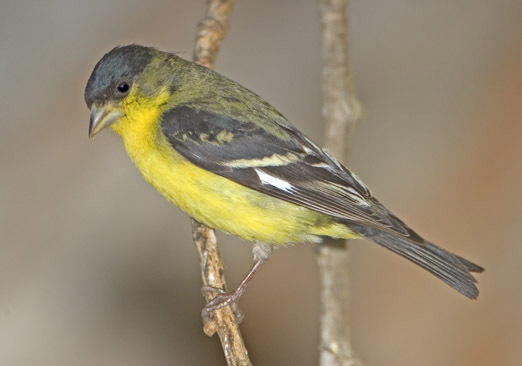 In California, nearly all lesser goldfinch males are of the green-backed form shown here; the black-backed form is found well to the east. 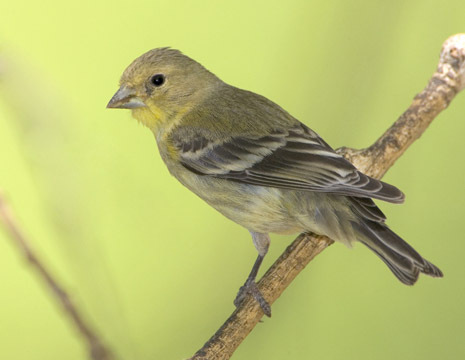 The lower left picture shows the more subdued plumage of females.